Australia is in dire need of local welders. The Australian government and various private institutions are teaming up in opening trade schools focused on welding and offering more welding courses in existing schools. This may be great news to suppliers of welding wire and the manufacturing industry in general. The pool of skilled Australian welders are drying up, and the limited number of new welders is not enough to fulfil the needs of the manufacturing industry. Australian companies in need of welders often find themselves in troubling situations. Applicants often lack experience or the necessary skills to qualify for welding positions—that’s if there are any applicants at all. Automation is one of the factors that affect the decreasing amount of new welders. Potential workers are looking for alternative options in fear of being replaced by machines if ever they choose a career in welding. Though this is true for simple weld runs, there are still numerous manufacturing projects that require human expertise. Automated systems also require the guidance of a skilled welder, and further maintenance of automation-made products require custom welds. However, this is only feasible when done manually. Two big federal government projects will require thousands of skilled welders. The $90 billion Naval Shipbuilding Program in South Australia will require more than a thousand welders and the LAND 400 project (a military vehicle acquisition program) will require similar number. Both projects require welders of the highest standards and training that few Australian welders have undergone. A good number of welders in Australia’s shipbuilding and submarine building companies already come from France and Spain. Jobs that can easily be filled by skilled Australians end up getting outsourced because of the lack of accredited skilled workers. 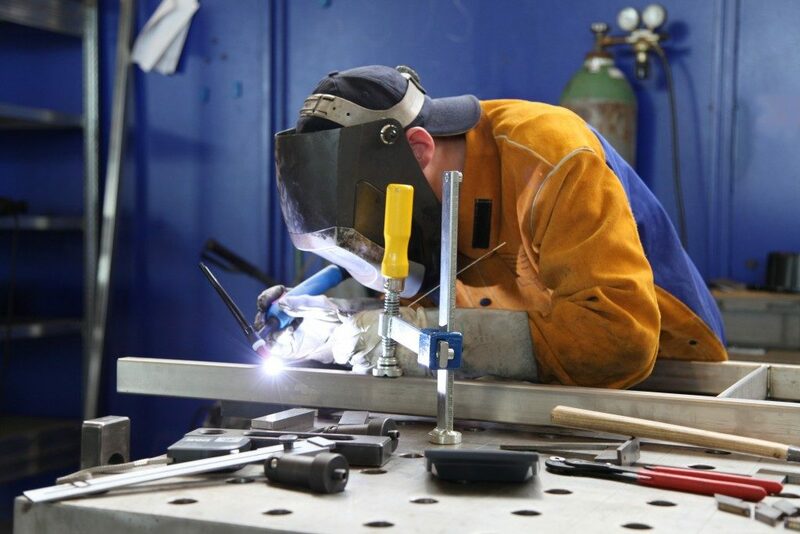 Weld Australia, a group representing welding companies and individual welders, is imploring the government for a partnership that will give additional training to existing welders. They propose additional training that will help transition welders from the automotive to shipbuilding. Virtual reality will figure prominently in the training of new welders as the first Advanced Welder Training Centre (AWTC) is set to open in Tasmania. The training centre will be located at the Tasmanian Minerals and Energy Council (TMEC) Centre of Excellence. Federal government funding of $750,000 led to the creation of the centre, which will harness the use of portable virtual reality machines on its training programs. The simulators mimic the use of live welding equipment, without the risks involved. Students can grow their skills and techniques in a safe environment before transitioning to real-world practice. This is the first time virtual reality is being used in the training of welders, and TMEC officials believe that the innovation will greatly benefit the manufacturing sector. Australia needs more welders, and skilled ones at that. Further training and accreditation can ensure Australian workers lucrative positions in demanding industries. New training methods can bridge the skill gap and give new welders more advanced skill sets and knowledge of various techniques needed in more specialised fields.